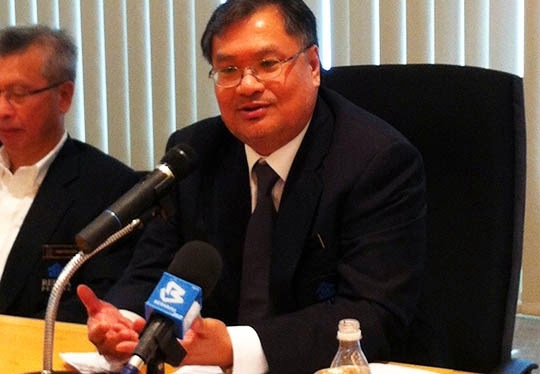 The Real Estate and Housing Developers Association (Rehda) Penang chapter wants the state government to ease cooling measures meant to curb property speculation as they have only reduced the number of sales but not brought down prices. Rehda Penang chairman Datuk Jerry Chan said the state's cooling measures, which included levies on property sold within a certain period of time, were meant to discourage property speculation that made homes expensive in the state. However, he said the measures reduced transactions by 20% last year compared with 2013, instead of having an impact on property prices. "They have been effective in reducing property transactions but they have not affected property prices. "Prices are still up due to rising costs faced by developers," he said in a press conference at Penang Rehda's office in George Town today. Chan said while transactions were down, other costs like charges levied by the local authorities, land, materials and labour had continued to increase. "If you expect developers to cut property prices, it is not happening because the costs are going up." Even for homes in the secondary market, prices remained up although they were expected to fall, Chan said. "So we do not expect all property prices to soften. Prices now are quite stable and we don't foresee an increase in property volume too," he said. The Penang government announced in its 2014 state budget several new housing rules to protect the state from being affected by a property bubble and to ensure that public and affordable housing were bought by genuine and qualified buyers from the lower and middle-income groups. Among the rules, which took effect in March last year, was a levy of 2% on property sold within three years from the date of the sale and purchase agreement (SPA), and a moratorium on the re-sale of “affordable” housing within five years of their acquisition, and 10 years for low-cost homes. Owners of low- and low-medium cost homes must get state approval if they intend to sell their properties within a 10-year time period from the date of signing of the SPA. They are also only allowed to sell their units to “listed buyers” who are registered with the state’s housing department and certified under the low-income group. For affordable homes, classified as houses worth up to RM400,000 on the island and up to RM250,000 on the mainland, owners who signed the SPA after March 1 are not allowed to sell their property within a five-year period. The owners must also obtain state approval and are only allowed to sell to listed buyers in the middle-income group registered with the state housing department. Under the new rules, foreign property buyers pay a 3% levy on the units they purchase in the state. Chan said Penang Rehda had appealed to the state government through housing exco Jagdeep Singh Deo, to be more lenient in its development charges and to give developers some leeway. Chan also suggested that the state government ease the cooling measures for certain projects rather than make them compulsory for all projects. "We told them when the market is slowing down, they have to ease up on all these measures and controls," he said. Chan said property prices would not become cheaper but developers themselves would be more realistic when setting prices for their units.